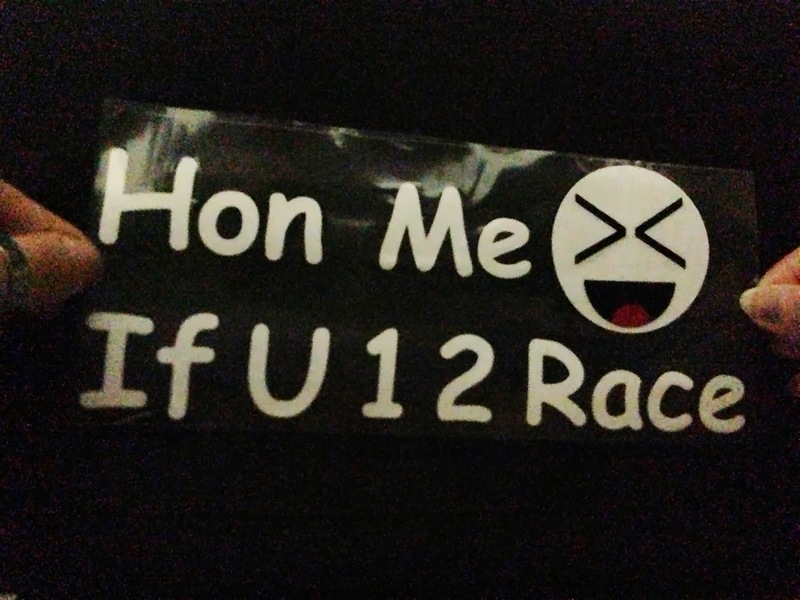 A car sticker word "Hon me if u 1 2 race" = RM 15. 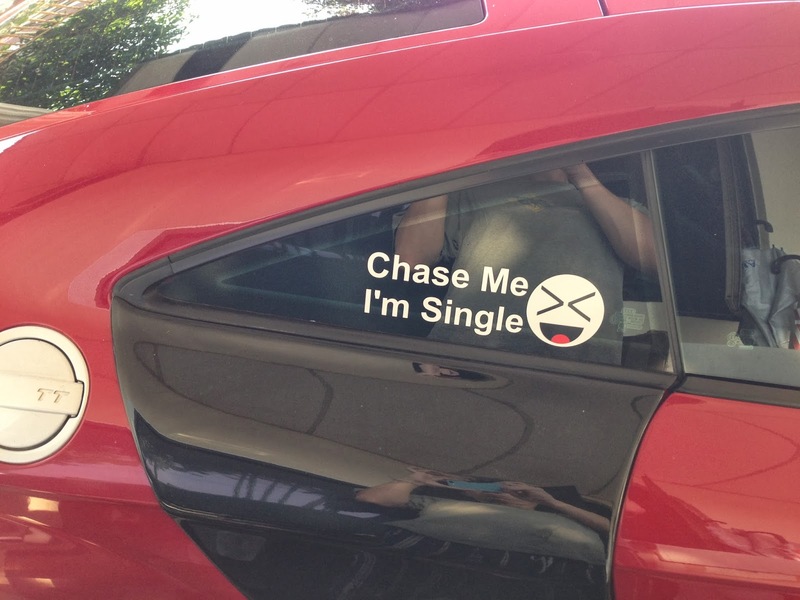 How to paste the sticker? 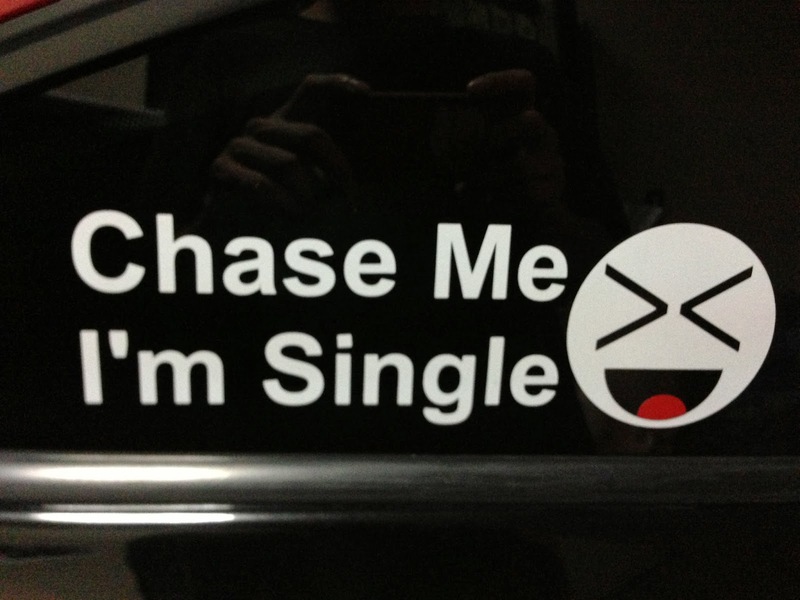 Step 1 : This is the sticker that you receive. Step 2 : Tear off the transparent background sticker out from the white paper. 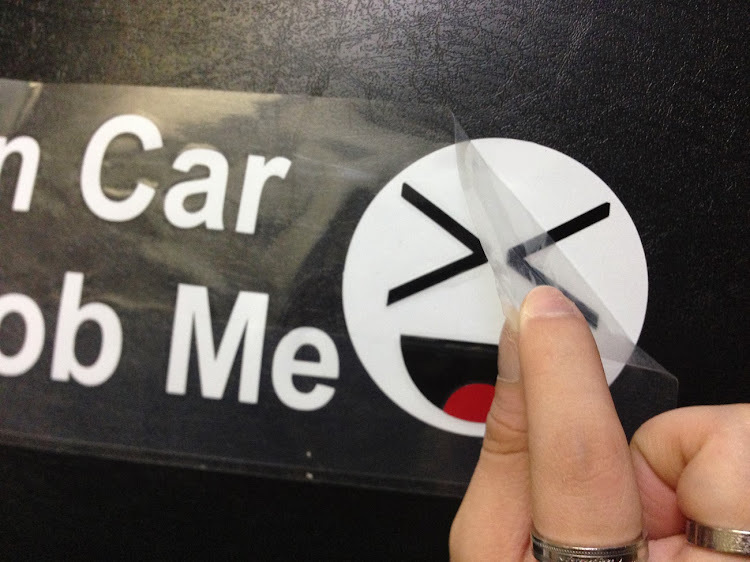 Step 3 : This is transparent background sticker. 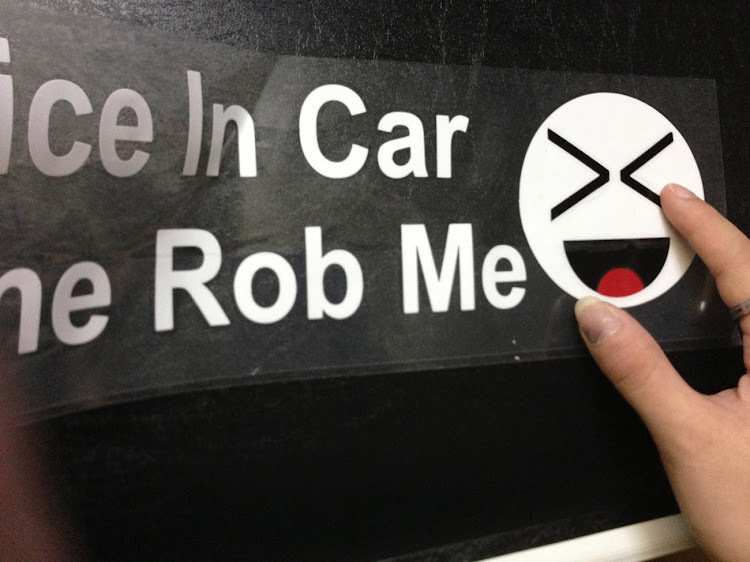 Step 4 : Paste the sticker on car window. 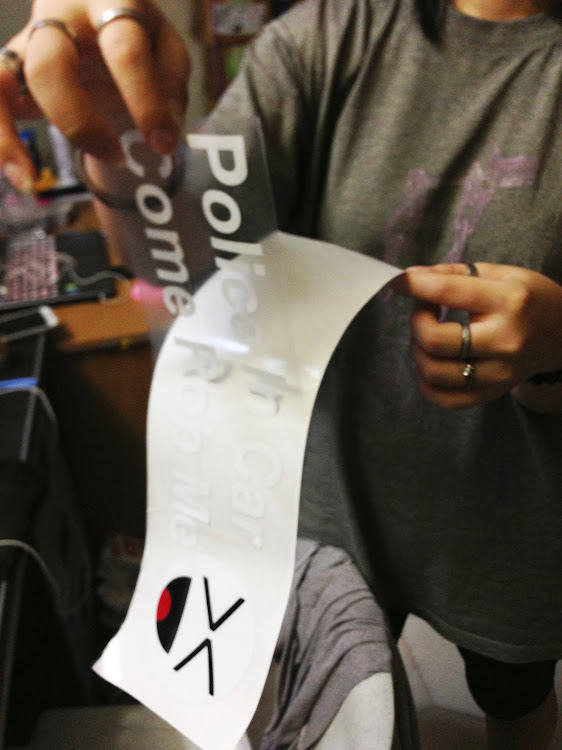 Step 5 : Tear off the transparent sticker from the white sticker. Car Window Sticker Decal - "Hon me if u 1 2 race". Total money that you need to pay = Product price + Postage fee. 1) If you want to COD, you can meet me at Aeon Mall which is Oposite Tesco Alma at Bukit Mertajam for free of charge. Or pay me rm7 car petrol if you want to meet me at Auto City Penang. 3) Or you can use Paypal transfer money to me, you need to extra pay RM7 to me if you want to use Paypal transfer money to me because Paypal will charge me RM7 fee. My Paypal email address is 2aek@live.com.my and my Paypal name is Zac Ang Eng Keat. I will post the product to your house address on the same day if I receive your payment before 3p.m, then next day or next next day you will receive it. I will use Poslaju for Malaysia. For International shipping I will use Registered Mail and u will receive it within 2 weeks. Ps : I'm a trusted seller, you can see I have received many positive comments from the buyers at ebay.com.my.